All meetings will be held on the first Thursday of each month at 6:30pm in the ACM Library. Don't worry - you won't be put in charge of anything just for showing up! Come learn about the PTA's ongoing and upcoming programs to support the school. Of course, if you are interested in getting involved, this is a great place to start finding out how! **Some ACM Spirit items will be given as door prizes!! Come and learn about all the Technology at ACM. 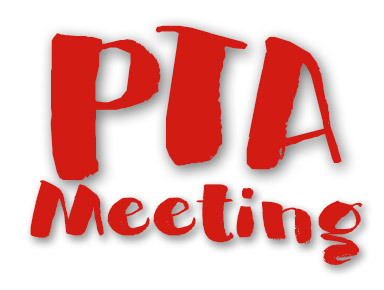 During our November meeting, we will see a showcase of PTA Reflections entries, and recognize winning participants. Sweet Challenge! Bring your most amazing dessert to enter into the ACM PTA dessert contest. Fabulous prizes!!! Amy Egan will present a Workshop on Parenting and Anxiety issues in Children. Come learn strategies and talk to other parents! During our February meeting, we will see a showcase of Science Fair entries, and recognize winning participants. We will have an internet safety presentation by the National Center for Missing and Exploited Children. Please RSVP here: https://www.eventbrite.com/e/internet-safety-for-parents-arapaho-classical-magnet-tickets-51059663829. We'll wrap up the school year with a final financial report and voting in next year's budget. PTA Volunteer and SOAR awards in the gym followed by the annual Spring Music Performance. 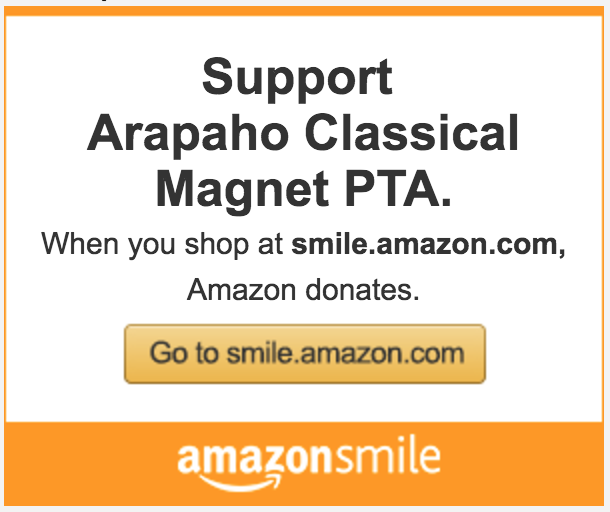 Support ACM PTA when you shop with Amazon Smile! Successful students make successful schools— which make thriving communities. Everyone benefits when you support the teachers and classrooms our students grow in! For so many years, intelligence and academic abilities have been seen as something that is fixed - you have it or you don't, and it doesn't change much over time. Scientists have proved again and again that is not true. Our brain responds like a muscle and the more we use it, the stronger and smarter it becomes. When we as parents understand this, we can help our kids to have a Growth Mindset and the power of believing that you can improve!